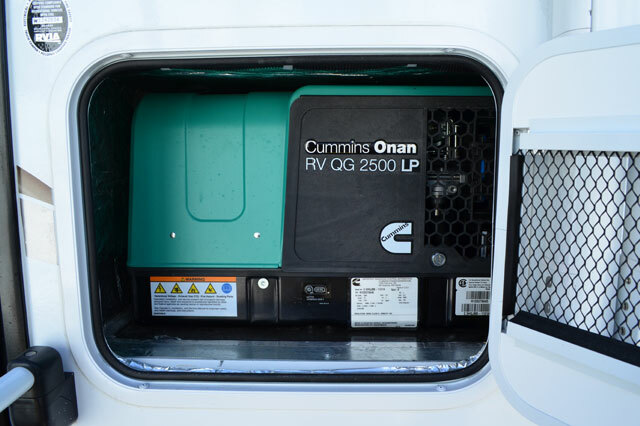 Powersolution has been servicing RV generators for over two decades. Whether you use your generator for vacation and fun time or for serious business purposes, you depend on that generator. We service RV generators in coaches belonging to the U.S. government and well-known celebrities; in trucks belonging to broadcast radio and tv stations; pet grooming vans; mobile medical facilities; horse trailers; race car trailers and commercial trucks of all varieties. Many of our customers are residents of the metroplex and surrounding areas who bring their motor homes in for regular preventive maintenance or for troubleshooting when they discover a nonfunctioning generator while getting ready for an over the road trip. We have successfully repaired most generators found in the known world. You can feel free to bring us your Onan, Generac, Power Tech, Honda, or anything else and, if parts are available, we will fix it. If you travel Interstate 35 in Ft. Worth you have probably driven past our facility. We are easy to find and have plenty of driveway, plenty of parking space and 6 large bays for facilitating service to your vehicle. Call ahead and we will work you in to our shop schedule.